Soldier was evacuated to the hospital in moderate condition. Circumstances are being investigated. 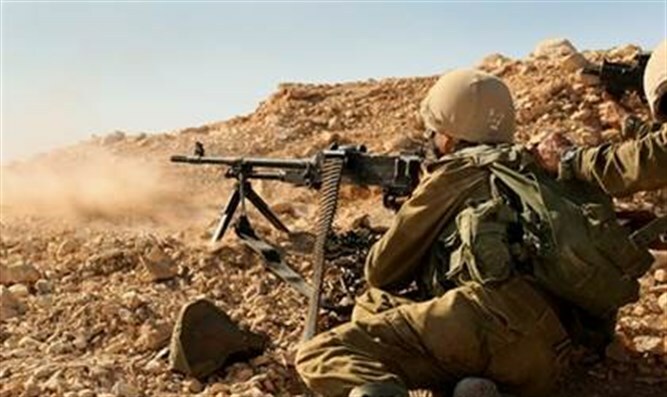 An IDF soldier suffered a hand wound on Wednesday night when he was hit by a bullet during a military exercise, Channel 10 reported. The soldier was evacuated to the hospital in moderate condition. Details of the identity of the soldier or the place where the accident occurred have not yet been provided. The circumstances of the accident are being investigated. In June, a career army officer was wounded by a bullet fired at a base in the southern Israel. A few days earlier, an IDF soldier had been seriously wounded by a bullet at his home in Tel Aviv. The soldier was on vacation and was wounded when his friend, also a 19-year-old soldier, played with a weapon belonging to one of them.